Karl Rove's American Crossroads super PAC had big-money backers, but achieved minimal results, according to a study by the Sunlight Foundation. Karl Rove was the political genius of the George W. Bush era -- the architect of the last Republican president's two electoral victories. But this week, he may have had the worst election night of anybody in American politics. Not only did Rove insist on Fox News that Ohio was still winnable for Republican challenger Mitt Romney after all the TV networks had called it for President Barack Obama -- causing anchor Megyn Kelly to march down to the Fox "decision desk" mavens, who assured her on air that they were "99.9 percent" confident in their call -- but his trailblazing "independent" super PAC operation was virtually shut out on election night. 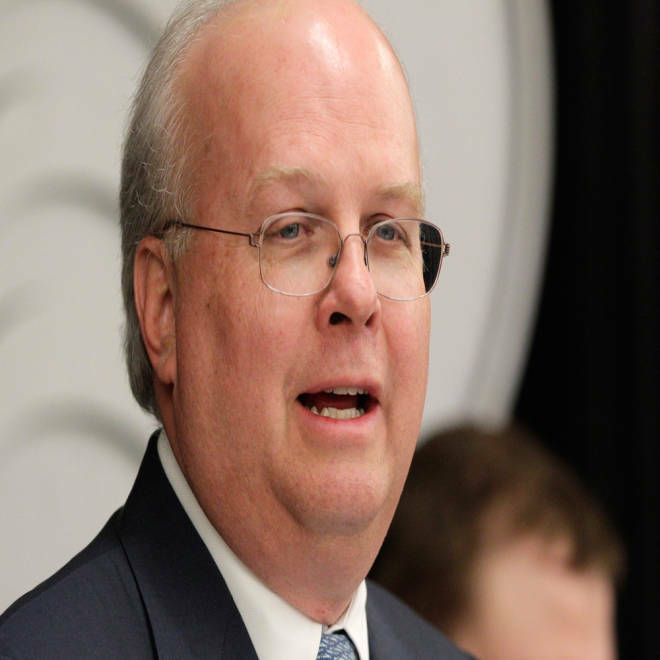 A study Wednesday by the Sunlight Foundation, which tracks political spending, concluded that Rove's super PAC, American Crossroads, had a success rate of just 1 percent on $103 million in attack ads -- one of the lowest "returns on investment" (ROIs) of any outside spending group in this year's elections. NBC's Michael Isikoff discusses Super PAC spending during the 2012 election and the bang for each donation buck. The super donors didn't get much for their money. Six of the eight GOP Senate candidates that American Crossroads spent money to try to elect – Tommy Thompson in Wisconsin, George Allen in Virginia, Josh Mandel in Ohio, Richard Mourdock in Indiana, Denny Rehberg in Montana and Todd Akin in Missouri – lost their races, along with Romney. The group did, on the other hand, help to elect Deb Fischer in Nebraska and Dean Heller in Nevada. Campaign spending by Super PACs in this election cycle topped $1 billion – nearly four times the amount spent by such groups in 2008. Former White House Deputy Press Secretary Bill Burton and former RNC Chairman Michael Steele discuss. Jonathan Collegio, a spokesman for American Crossroads, dismissed the Sunlight Foundation report. "GOP super PACs helped keep the race close and winnable, despite Obama's massive financial advantage," he wrote in an email to NBC News. "On the Senate races, run the numbers. If you don't count the long-shot self-funders in CT and PA, Senate Democrats outraised their GOP opponents by $60 (million) this cycle – and that disparity is greater if you factor out GOP primary fundraising. The DSCC (Democratic Senatorial Campaign Committee) outraised the NRSC (National Republican Senatorial Committee) by another $20 (million). Few have reported on this." "You can’t have an accurate view of the role of super PACs without the context of how Democrats leveraged incumbency to outraise their opponents by literally hundreds of millions of dollars," he added. The American Crossroads debacle was only the most dramatic example of the limits of big money in this election, according to the Sunlight Foundation report. About $1.3 billion was spent by outside groups overall -- about two-thirds on the Republican side -- and for the most part their returns were equally low. The Chamber of Commerce, for example, spent $31 million-and had a 5 percent return, according to the Sunlight study. The conservative American Future Fund spent $23.9 million and also realized a 5 percent return. The National Rifle Association spent $11 million, and got shut out. "It may mean people really don't like big money in politics," says Kathy Kiely, the Sunlight Foundation analyst who co-authored the study. "Maybe they prefer it be spent on something else." Michael Isikoff is a national investigative correspondent for NBC News.